Miltonia Orchid Plant shown here in a soft lavender/pink. This orchid has larger blooms than most. It comes housed in a glass cylindrical container with natural river rocks. 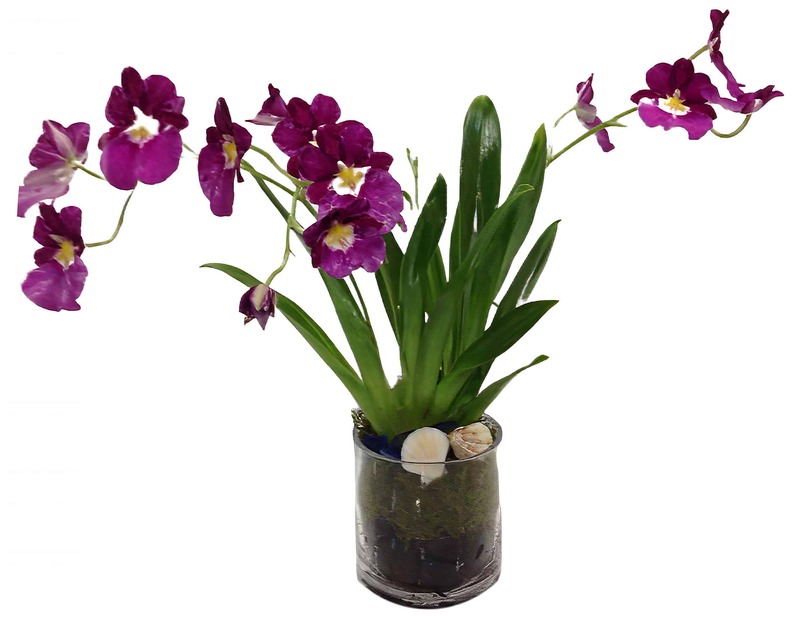 Add some simple class to your foyer or any place of business with this lovely and long-lasting plant.